Structure fire on Good Hill Road on Sunday. 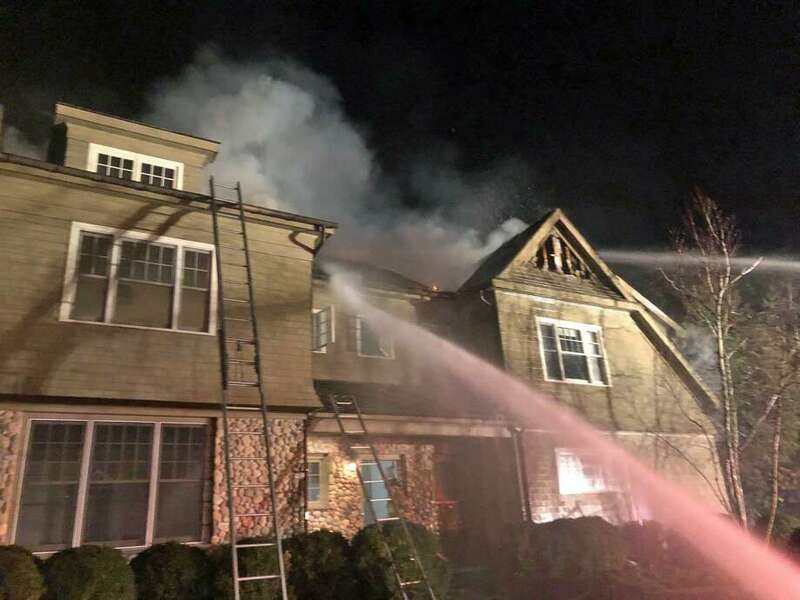 WESTON — A $2 million home at 103 Good Hill Road caught fire Sunday night. The Weston Volunteer Fire Department responded to a structure fire at the residence around 9:15 p.m. Neighbors and residents were warned through social media to avoid the area while firefighters worked to extinguished the flames. Upon arrival, firefighters found the blaze had extended to the attic near the garage of the home, an updated post to the fire department’s Facebook page read on Monday. Flames could also be seen shooting through the roof. In addition to the 26 Weston firefighters who tackled the blaze, multiple fire departments helped put out the fire, including the Georgetown and Wilton fire departments. Westport Fire Department provided coverage during the incident, while Weston Volunteer EMS assisted with rehab and firefighter monitoring. The family was home at the time but no one was injured, according to reports. The Weston Fire Marshal is investigating the incident, which has been deemed not suspicious. According to Zillow.com, the 7,745-square-foot house has been listed for sale since October, and estimated to be worth around $2 million.